This is it, people. 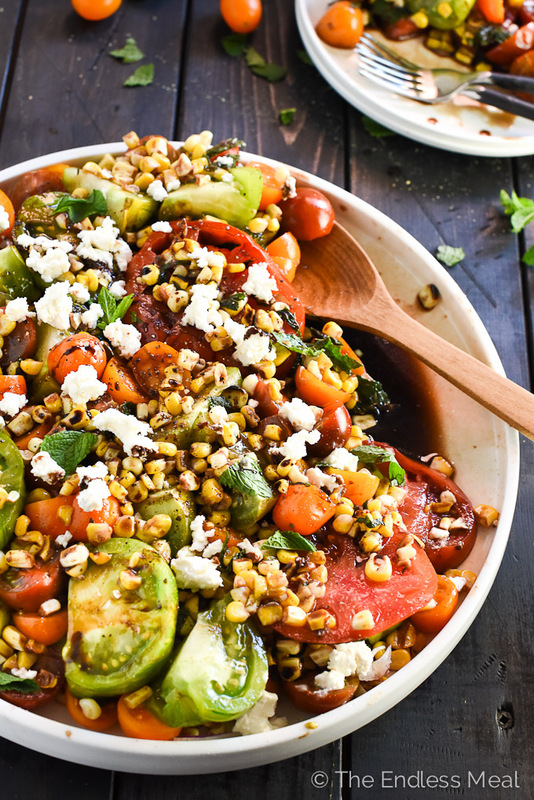 This is the time to indulge every bit of your summer tomato and corn cravings. You see those bright, juicy tomatoes there? You need to get your fill of them while you still can. I have to tell you a story. Last week I was standing with my handsome man, my 6-year-old nephew and my sister in her garden, the hot Okanagan sun blazing down on us. We had tomato juice running down our chins and arms. My nephew found a giant yellow tomato, without any exaggeration this thing was as big as a large grapefruit. He held it over his head and exclaimed, “Look at this tomato! We should all eat it!” Then he bit into it like it was a giant apple and, with a mouthful of tomato, told us it was as sweet as candy. Tomato season always seems to disappear so quickly, and it's right about now that I start to get desperate and eat every tomato in sight. I mean really, have you ever eaten a tomato in the winter? But of course you have, we've all made that sad mistake. Winter tomatoes are not worth even looking at so we'd better get our fill now while we still can. 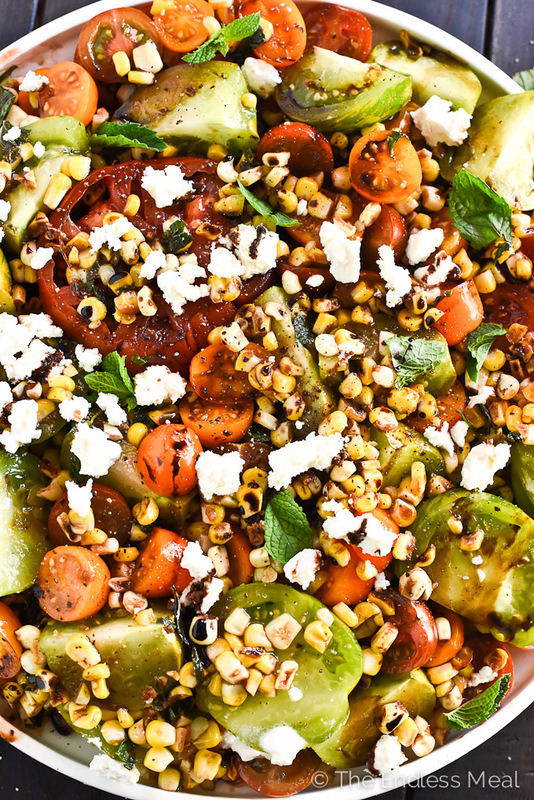 This tomato and grilled corn salad is all kinds of crazy good deliciousness. We already talked about how sweet and perfectly ripe the tomatoes are, but that's not all. 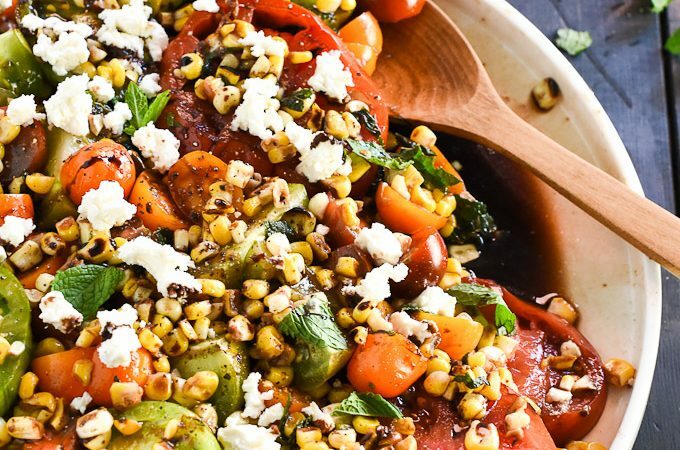 There's sweet, lightly grilled corn, wisps of mint and basil, and tangy balsamic vinegar and the world's best feta. Are you familiar with Macedonian feta? If not, I'm begging you to make acquaintances. Once you meet, your life will change. Seriously. Macedonian feta is like regular feta's grown up and far more sophisticated cousin. It's creamy and decadent and less salty than you'd expect. You probably want to add extra to your tomato salad cause really, why wouldn't you? 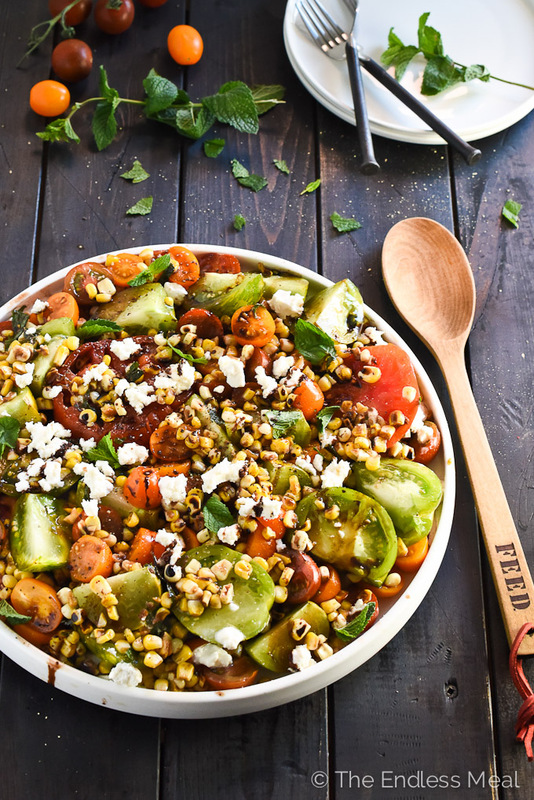 If you make this Summer Tomato and Grilled Corn Salad make sure to snap a pic and tag @theendlessmeal on Instagram so I can like and comment on your photos. 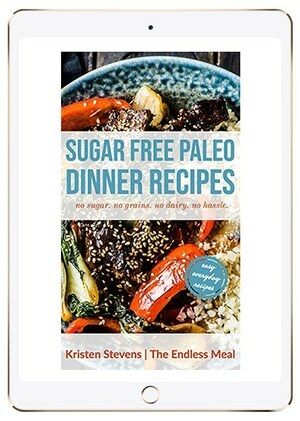 I love seeing TEM recipes you guys create! 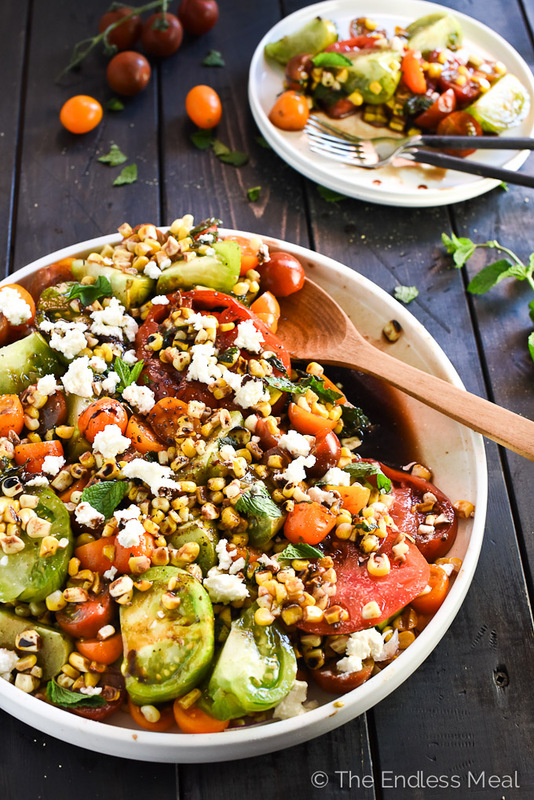 This grilled corn salad is made with sweet summer corn and tomatoes, mint, basil and a balsamic dressing. You are going to love it! Preheat your grill to medium-high and oil the grates. While the corn is grilling, prepare the rest of the salad. 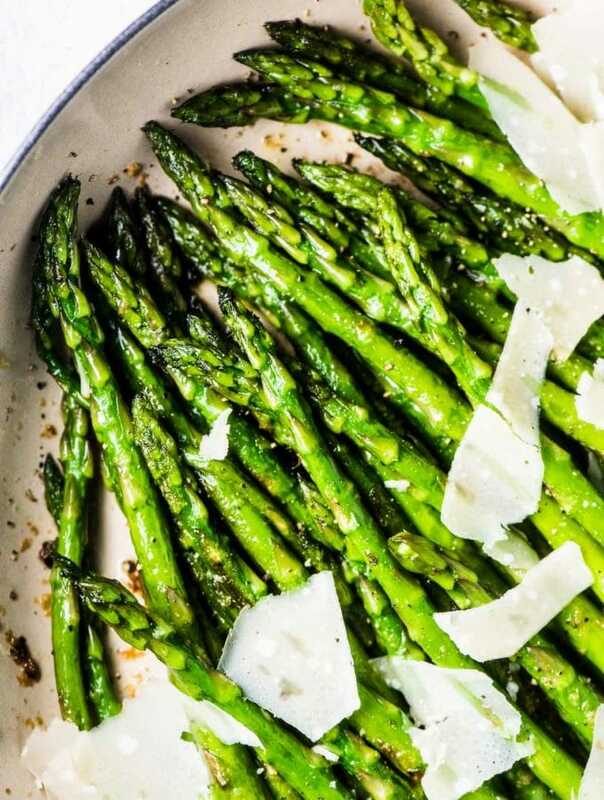 In a small bowl whisk together the balsamic vinegar, dijon mustard, olive oil and garlic until it is smooth and creamy. Stir through the basil and mint. Add the grilled corn kernels to the bowl. Lay half the tomatoes out on your serving platter, sprinkle them with sea salt then top with half the corn and some feta cheese (if you're using cheese). Top with the rest of the tomatoes, sprinkle with sea salt, the corn and any or all of the garnishes. Pour any remaining dressing on top and serve immediately. This salad can easily be left out for a few hours if you are serving it at a BBQ or picnic. Summer tomatoes are the best! We have been trying to enjoy as many as we can now too.. Love this beautiful salad! 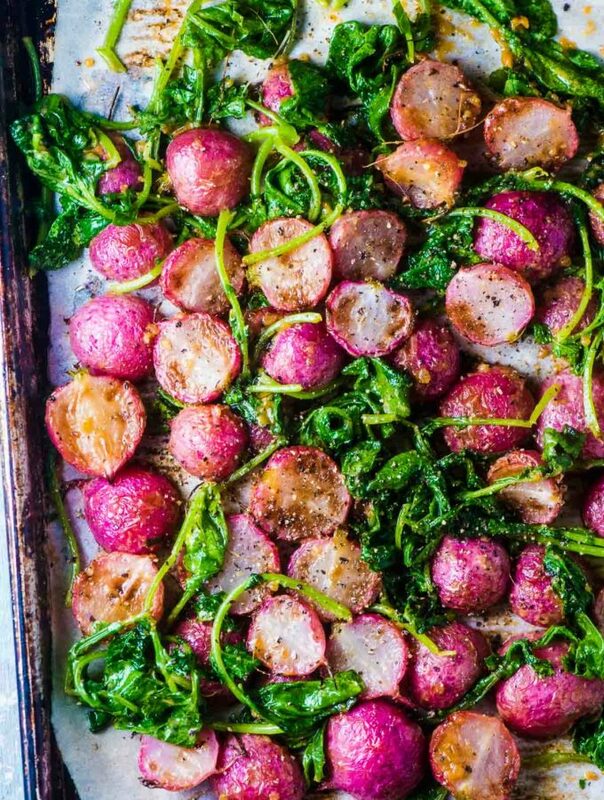 It looks so healthy, bright and delicious! It’s like a (delicious) race to enjoy as many tomatoes as possible before they leave us for another year, isn’t it? Winter tomatoes are a sad thing :/ But summer tomatoes…I just think they are so beautiful to look at too! Haha! The heirloom varieties are likes master pieces in a gallery! I totally agree … summer tomatoes are so beautiful! I just love going to the farmers market this time of year and looking at all the tomatoes. I’m always amazed at how many varieties there are! Thank you so much, Kalyan!! What a beautiful salad. I love all of the color! And I can’t get enough feta cheese. Feta is the best isn’t it?!! Lovely salad, Kristen! Love the combo of grilled corn and tomatoes. With balsamic and salty cheese (never would I omit cheese), that’s really good! Thanks, Ben! I don’t eat a lot of dairy but I would never say no to goat, feta or blue. I couldn’t live without those three! !